The sun was out, track was full and people were happy. 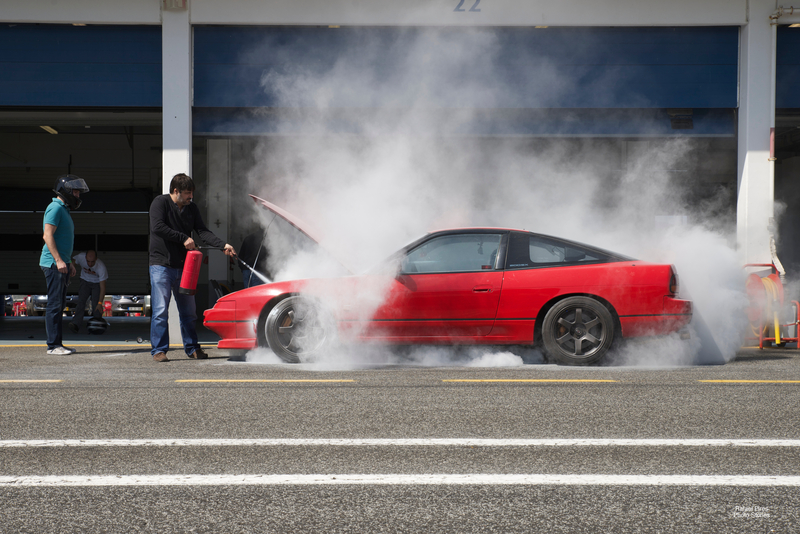 After lapping the circuit for a few times, a car caught on fire at Estoril Experience Day 2014. The car was fixed, and lately that day, it was racing again!